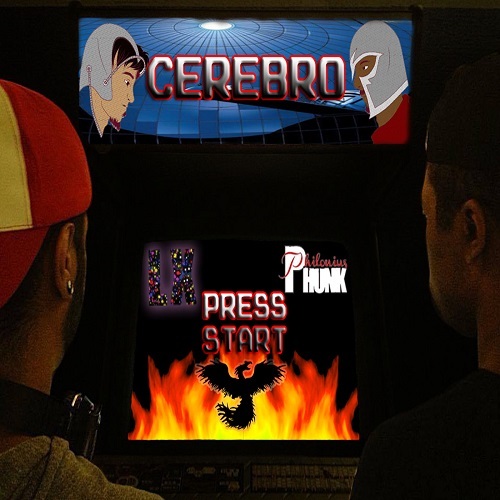 Tampa’s upcoming nerdcore hip-hop artists, LX and Philonius Phunk, combine their forces to bring their raw lyrically acclaimed debut, “Cerebro.” LX draws his east coast spoken-wordplay with all aspects of nerd fandom, laced with Phunk’s minimal 90’s nostalgic sampled beats. While paying homage to the X-Men, the EP strolls through concepts about comics, gaming, anime, and more. “Cerebro” will give listeners a hyped vibe to the power of the Symphonic Pheenix Force and their escalation from the flames.